My World Therapy is a specialist Private Paediatric Occupational Therapy Practice. My World Therapy is a specialist Private Paediatric Occupational Therapy Practice. Our Therapy service is called ‘My World Therapy’ – we chose the name because we feel that to effectively support children with Autism, it is important to ‘step into their shoes’, to understand what the world feels like to them. We provide highly specialist private Occupational Therapy for children with Autistic Spectrum Disorder, ADHD, Developmental Delay, Developmental Coordination Disorder and syndromes such as such Down Syndrome, Rett Syndrome, William’s Syndome and Fragile X. Therapy sessions are always fun and use a range of modern treatment approaches to help each child reach their maximum potential. Occupational Therapy helps children to reach their maximum potential with daily living skills such as dressing, feeding and toileting and school skills such as attention, handwriting and scissor skills. Occupational Therapists specifically assess for any sensory and/or motor skills difficulties that may be affecting the child’s ability to carry out typical activities for their age. Occupational Therapists are a core member of the multi-disciplinary team for children with Autism, ADHD, Developmental Delay and Developmental Coordination Disorder. There are a wide range of sensory and motor skills difficulties that can affect children. These differ from child to child. If any of the difficulties or behaviours listed below are affecting your child, they may benefit from Occupational Therapy. Sensorimotor (sensory integration, sensory diets and sensory strategies)- to target the child’s underlying sensory processing difficulties. Parent/Education Staff coaching- enabling parents/education staff to maximise the impact of Occupational Therapy by putting strategies in to place on a daily basis. The amount of therapy required will depend upon the severity of the child’s difficulties. Recommendations will be made following assessment. Treatment may be delivered directly or indirectly. Direct therapy- This involves the Occupational Therapist carrying out one to one sessions with the child at home or school. Sessions last for one hour and this includes time for feedback to parents or education staff. My World Therapy is a specialist Private Paediatric Occupational Therapy Practice. All our therapists are are members of the British Association of Occupational Therapists and The College of Occupational Therapists, as well as registered with The Health and Care Professions Council. Our therapists also have full DBS clearance. Anna qualified as an Occupational Therapist in 2001 at the University of Southampton. She spent a year working voluntarily in orphanages in Romania before joining the NHS. Anna held a specialist Paediatric Occupational Therapy post in London, working for the Royal Free Paediatric Occupational Therapy Team and following this a Clinical Specialist Paediatric Occupational Therapy post for South West Essex PCT. Anna is certified by the Health and Care Professions Council (HCPC). She is a member of the British Association of Occupational Therapists and the Sensory Integration Network. Anna has received training in Sensory Integration, DIR Floortime, PECs (Picture Exchange Communication System), Makaton, Handwriting Without Tears and NAS Earlybird. In 2011 Anna achieved an MSC in Autism from the University of Strathclyde. Anna has worked with children aged 0-18 years, with a wide range of learning needs. She specialises in providing therapy to children with Autism, ADHD, Developmental Delay, Developmental Coordination Disorder and syndromes such Down Syndrome, Rett Syndrome, William’s Syndome and Fragile X. 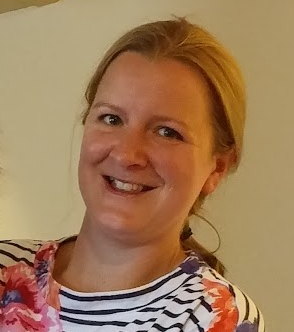 In addition to providing highly specialist individual therapy, Anna has lots of experience of delivering training to parents, education staff and health professionals. Anna lectured on Essex County Council’s Advanced Autism Course for SENCO’s, Teachers and Learning Support Assistants. For ten years, she has also provided independent supervision and consultation to therapy services within Priory Schools. Anna founded ‘My World Therapy’ in order to provide individualised, timely, highly specialist, and up to date Occupational Therapy for children with sensory and/or motor skills difficulties. Through thorough assessment, Anna builds a profile of each child’s strengths and needs. In addition, she recognises the importance of understanding what the world feels like to the child and also what motivates them. This enables Anna to formulate an individualised treatment plan. As a Mum of two children, she understands the importance of therapy being fun and of working closely with parents to understand their priorities for their child. It was a privilege to work with Anna in her capacity as Senior Occupational Therapist. As Lead Specialist teacher for Autism in Essex I worked with her closely over a number of years. Many qualities spring to mind when I think of Anna: she is innovative, practical, calm and empathetic. Her knowledge and skill in working with children with autism was outstanding. She successfully tailored programmes for individual children and her training sessions were always informative and interesting. I would not hesitate to recommend Anna for providing therapy sessions, delivering training or supervision. I have known Anna Hamlet since 2008, when she began working with my son as his Occupational Therapist, following his diagnosis of Autism. I soon became heavily involved, during the founding stages, of the specialist Autism and Asperger’s (STAARS) Team, as one of two ‘Autism Parent Representatives’ in Thurrock and a greater area of Essex. I support parents and children and deliver the Good Beginnings Course, when NHS resources allow me to ‘borrow’ a professional staff member for a morning, weekly for 10 weeks. In all the time I have known Anna Hamlet – as a parent and working with her within the STAARS Team, I have found her to be enthusiastic and approachable. She is absolutely a key team member and is always up to date with recent research and findings, incorporating that into her vast area of knowledge. She can reach out to parents on their individual level and explain their child’s difficulties; moving them onto actually providing that much needed help themselves. She encourages and gives realistic hope (which we need as parents, to empower us!). She is also great to work with. During our Good Beginnings Sessions, we assign one week (one morning) to various members of Health and Education. Anna’s OT sessions are always extremely well attended and enormously welcomed; our parents look forward to meeting with her, and returning with questions later too. Anna has supervised me since May 2010. She is a dedicated and experienced individual who is always passionate about supporting me in reaching the highest potential through her supervision. My World Therapy provide highly specialist private Occupational Therapy for children with Autistic Spectrum Disorder, ADHD, Developmental Delay, Developmental Coordination Disorder and syndromes such as such Down Syndrome, Rett Syndrome, William’s Syndome and Fragile X.